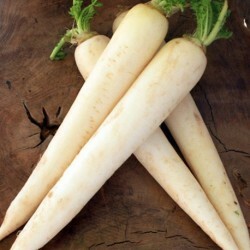 White Icicle Radish, as the name suggests, produces long snow white, slender, tapered roots. Up to 6 inches long roots. 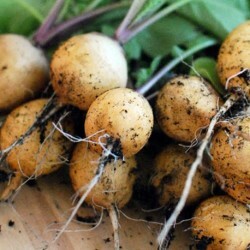 Tolerant to summer heats and the roots don't go woody evem if left in the ground for longer. Ready to harvest in about 4 weeks after germination. 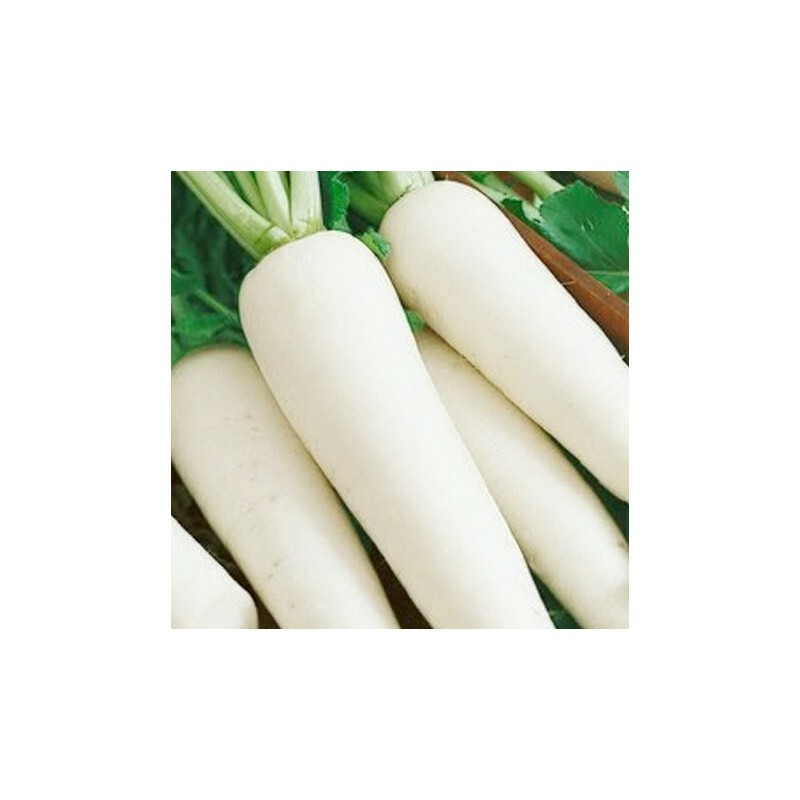 Sow the white icile radish seeds into well prepared soil from early spring to late summer. 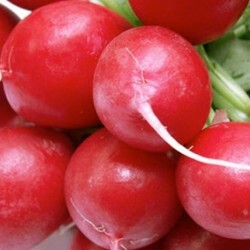 Prefers well drained, moderately rich soil. Sow seeds about 1 cm deep in drills 15-20 cm apart. Seeds will germinati within one week. Thin out the seedlings as necessary. 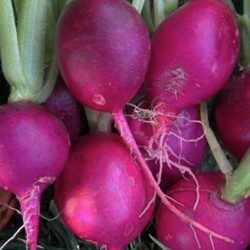 Start harvesting as soon as the roots are rached a reasonable size.